Based on the #1 New York Times best-selling book series by Cecily von Ziegesar, Gossip Girl is a one-hour drama based on the lives of privileged Manhattan prep school teens. The students first learn that Serena van der Woodsen (Blake Lively), once the Upper East Side’s most notorious party girl, is back in town the way they learn all the important news in their lives — from the blog of the all-knowing, albeit ultra-secretive, Gossip Girl. No one knows Gossip Girl’s identity, but everyone in this exclusive and complicated vicious circle relies on her website and text messages for the latest scoop. Even Serena’s closest friend, Blair Waldorf (Leighton Meester), is surprised to find that Serena has suddenly ended her self-imposed exile to boarding school and returned to Manhattan. Keeping track of the shifting friendships, jealousies and turmoil in this wealthy and complex world isn’t easy, but it’s what Gossip Girl does best! Read my review of the complete first season DVD after the jump. 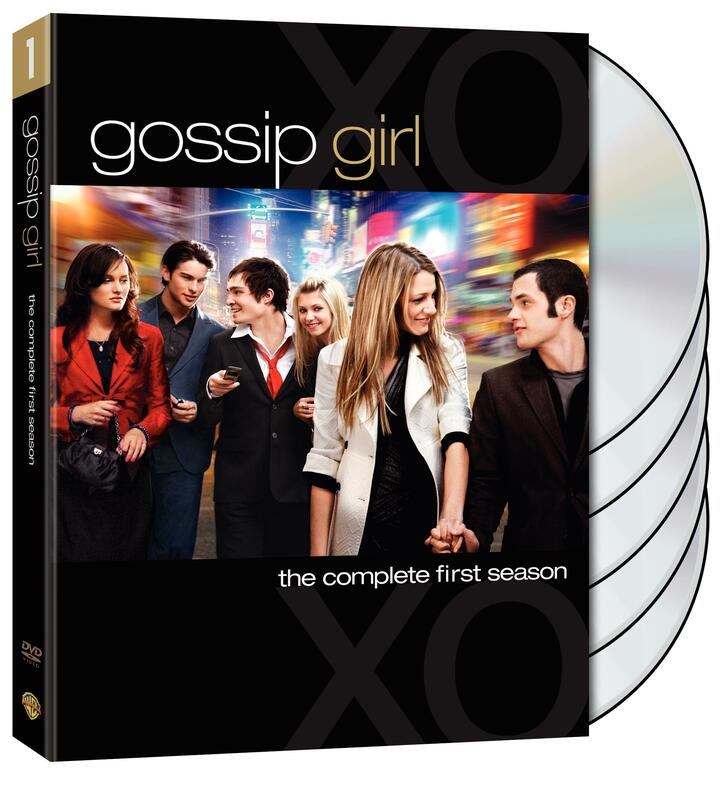 The first season DVD set of The CW’s Gossip Girl is just a week away (August 19, 2008), and in celebration of its release and the upcoming second season you could win a $1,000 Gift Card and more. Click the image below to head over to gossipgirltvondvd.com to enter the contest. The CW has announced that they’ve given early pickups for six series, including the networks hit reality series America’s Next Top Model, four dramas and one comedy for next fall. Multiple sources are reporting that The CW has given a back-nine order to Gossip Girl. It’s the first new show of the season to be awarded a full season. The CW has announced plans that they are pushing up the premiere of their new drama, Gossip Girls by one week to September 19th. EW.com is reporting that Kristen Bell (Veronica Mars) will provide voiceover narration to Gossip Girl. Bell will voice the character of the Gossip Girl.